Sign up now for the latest updates and action alerts. In 2012, hundreds of thousands of pro-lifers and people of faith took to the streets in a series of rallies to protest the HHS Mandate. Those rallies, held in hundreds of cities and towns across America, sent the message that we the people weren’t about to sit back and let the federal government trample our First Amendment rights. Pepsi is exempt from Obamacare’s HHS Mandate. So are other large corporations, including Exxon and Chevron. But not the Little Sisters of the Poor. Their consciences notwithstanding, they’re still required to comply with the mandate’s requirement to provide contraception, sterilization, and abortion-inducing drugs to their employees. In a pathetic attempt to extend an olive branch, the Obama Administration offered the Little Sisters an “accommodation” under which they could fill out a form noting their objection, which would then shift the coverage obligation to their insurance companies. But this accommodation is a sham, because it still requires religious non-profits like the Little Sisters of the Poor to cooperate in a process that results in coverage of morally objectionable drugs and devices for their employee health plans. So the Little Sisters filed suit against the federal government, and their case will be heard at the U.S. Supreme Court on Wednesday, March 23. Today the U.S. Supreme Court agreed to hear a challenge to the HHS Mandate brought by seven plaintiffs, most notably the Little Sisters of the Poor. Churches and houses of worship are currently exempt from the mandate, but this is not the case for religious non-profit institutions. If groups like the Little Sisters do not want to provide contraception, sterilization, and abortion-inducing drugs to their employees, the Obama Administration offers an “accommodation” under which institutions are required to fill out a form noting their objection, which then shifts the coverage obligation to their insurance companies. It is all well and good for HHS to think it has threaded the needle and found a way for re­li­gious non­profits to com­ply with the man­date without vi­ol­at­ing their re­li­gious be­liefs, but ul­ti­mately it is for the re­li­gious ad­her­ent to de­term­ine how much fa­cil­it­a­tion or com­pli­city is too much. Oral arguments are expected to heard in late March. The Pro-Life Action League has often turned to Office Depot to print larger signs or posters for a pro-life event or protest, as well as to make volume copies of flyers. Maria Goldstein, founder and director of Northwest Families for Life, based in the northwest suburbs of Chicago, has done the same. Indiana Governor Mike Pence just signed a new religious freedom bill into law, defending the right of people of faith to not be forced to act against their deeply held convictions. The new measure, called the “Religious Freedom Restoration Act”, is a state version of the federal law of the same name signed into law under President Clinton. In fact, President Obama himself voted for a similar law as a state senator in Illinois. Indiana joins over 19 states and the federal government in enacting legislation to protect their citizens’ rights of conscience. 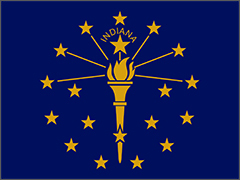 The Stand Up for Religious Freedom Coalition applauds Governor Pence for taking this bold step to protect the religious freedom of the Hoosier state! 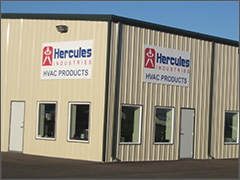 On Monday, March 16, U.S. District Judge John Kane issued a permanent injunction from the HHS Mandate to Hercules Industries, declaring that the family-owned business is protected by the federal Religious Freedom Restoration Act. This declaration is a huge blow against the Obama administration’s contraception mandate, and the latest in a string of victories against the controversial policy. This final victory, a permanent injunction protecting us from the abortion-pill, contraception and sterilization mandate, has taught our family that we have been right to put God first, and be proactive to protect our right to live and work according to our faith. Spiritual treasures come before business tools. This is a great sign for the hundreds of other lawsuits against the mandate currently being fought out in the courts. Get more on this story here and stay tuned to the Stand Up for Religious Freedom blog for more news as it becomes available. 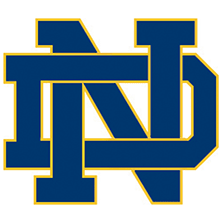 Just days ago, the US Supreme Court ordered a lower court to reconsider its ruling against the University of Notre Dame in their case against the Obama Administration’s HHS Mandate! The Seventh Circuit Court’s decision against Notre Dame essentially made it the only religious non-profit organization in the country not protected from Obama’s unjust mandate that businesses cover contraception, sterilizations and abortion-inducing drugs in their healthcare plans. This is a major blow to the federal government’s contraception mandate. For the past year, the Notre Dame decision has been the centerpiece of the government’s effort to force religious ministries to violate their beliefs or pay fines to the IRS. As with the Supreme Court’s decisions in Little Sisters of the Poor and Hobby Lobby, this is a strong signal that the Supreme Court will ultimately reject the government’s narrow view of religious liberty. The government fought hard to prevent this GVR, but the Supreme Court rejected their arguments. Thank God for another win in the fight against this unjust mandate! 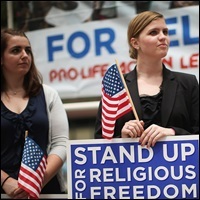 Stay tuned to the Stand Up for Religious Freedom blog for more news as this and other cases unfold. Find out more about the Notre Dame decision here. A US District Court has ruled that the Federal Government cannot force a Catholic-owned Michigan company to provide insurance coverage for sterilization, contraceptives, and abortion-inducing drugs. Michigan based Autocam Medical, LLC filed suit back in 2012 against the Obama Administration’s unjust HHS Mandate and, after failing to receive injunctive relief from it, took their case all the way to the US Supreme Court. The High Court remanded the case back to the district court and this ruling in their favor is the result. “Coercing citizens to violate their conscientious religious beliefs makes a mockery of the very notion of religious freedom,” Tom Brejcha, president and chief counsel of the Chicago-based Thomas More Society. Read more about the case here and stay tuned to the Stand Up for Religious Freedom blog for more updates as news on the Mandate and the legal challenges to it roll in. After losing in the Hobby Lobby v Burwell Supreme Court case earlier this summer, the Obama administration has just issued new rules for the notorious “HHS Mandate,” the Obamacare provision that requires all employee health plans to include free contraceptives and abortion-inducing drugs. This marks the eighth time the Obama administration has modified the HHS Mandate. Once again, they’re refusing to listen to the American people—or even the U.S. Supreme Court—and truly respect the employers’ conscience rights. The U.S. Supreme Court issued a stunning decision today affirming the religious freedom rights of business owners, ruling in a 5-4 decision ruling that “closely held corporations” cannot be forced by the Obamacare HHS Mandate to provide contraception, sterilization, and abortion-causing drugs to their employees. In its opinion [PDF], the Court stated that the federal government failed to demonstrate that forcing private corporations to provide these drugs and procedures to employees—even if their owners have strong conscientious objections to them—is the “least restrictive means” of providing free access to them. The decision in these cases, Sebelius v. Hobby Lobby and Conestoga Wood Specialties v. Sebelius, was the very last decision issued by the Court this term, and it was surely the most anticipated decision all year. That being said, it’s hard to underestimate the significance of this ruling affirming the First Amendment rights of business owners.